We are the whole sale manufacturer of all types of car covers like, Maruti Swift, Indigo, Indica Vista, BMW, Swift Desire, Bolero, Big Universal, Audi, Nissan etc. 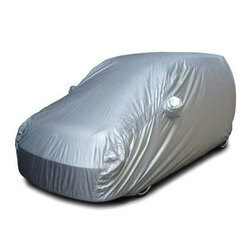 We provides wide range of Tarpaulin Cover for Car. - Insert elastics for automobile covers, car seat covers, luggage pockets etc. Protect your vehicle from Heavy Monsoon & Summer with the all new Weather Guard. Our comprehensive range of Car Covers is highly demanded among the clients and can easily cover different cars. Manufactured from quality fabric, our Car Covers are known for high strength and durable finish. 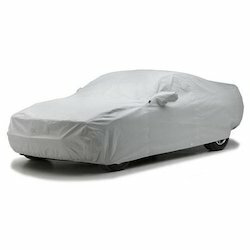 Our Car Covers are available in various dimensions to cover all types of car models.